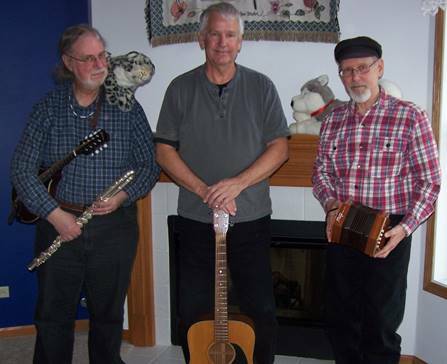 We play a variety of music, including American and Celtic, traditional Folk, and progressive Jazz. Our performances are generally in the area of northern Illinois around Woodstock in McHenry County. View our 2019 schedule and please check back here soon – we are presently confirming dates for a number of performances; please remember to click on “Reload” or “Refresh” on your web browser to get the current listing. For more information, please contact Gary Plazyk at (815) 568-7282 or via e-mail at g_plazyk@ix.netcom.com . Wish to recommend a venue? Let us know! . This page was last updated on April 20, 2019 by Gary Plazyk.